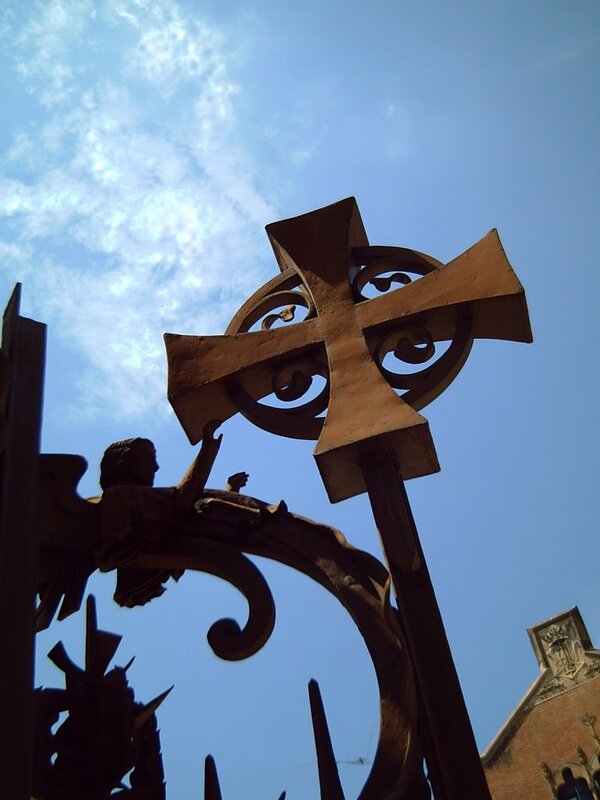 We go back to Hospital de Sant Pau to admire the ironwork at the main gates specially this reproduction of the Holy Cross reaching for the light like a sundial. 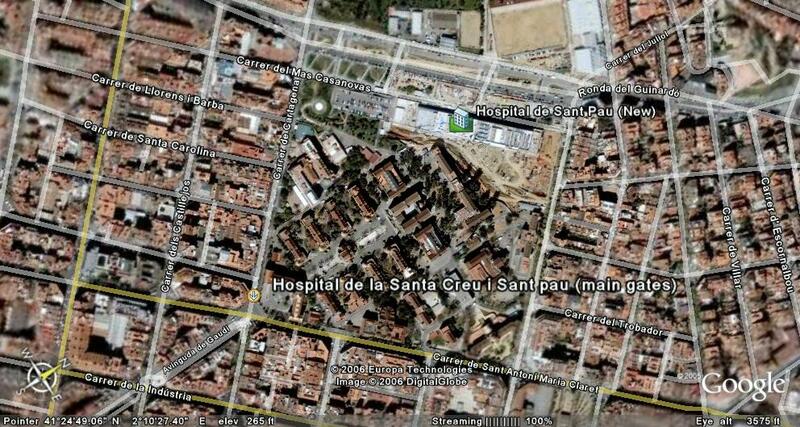 Remember that the full name is Hospital de la Santa Creu (the original medieval building in carrer Hospital which united the first six Barcelona hospitals and built back in 1401) i Sant Pau (adopted from its benefactor's christian name to refer to the new modernist complex built by Domenech i Muntaner in 1902). To find out more check previous posts: Gargoyles and Modernisme in Barcelona. That's a really strong image. I like this one a lot. Nice Photo! Subject and composition are great! Great pictures. I've been enjoying catching up. I especially love the amusement park pictures and that stained glass one is gorgeous. I may not have time to comment every single day but I will definitely stop by. May I put a link on my blog to your Barcelona photos? Of course, your link is more than welcome. From here I invite our fellow daily photo members to visit your place.